Worlds' largest inhabited river island. The landscape of the island is empty and green, with many water bodies. 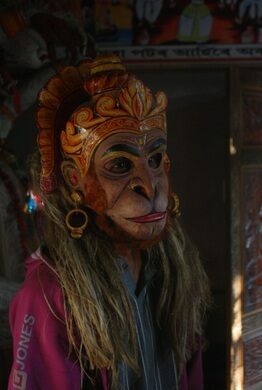 Mask making is another skill which the island has excelled at. 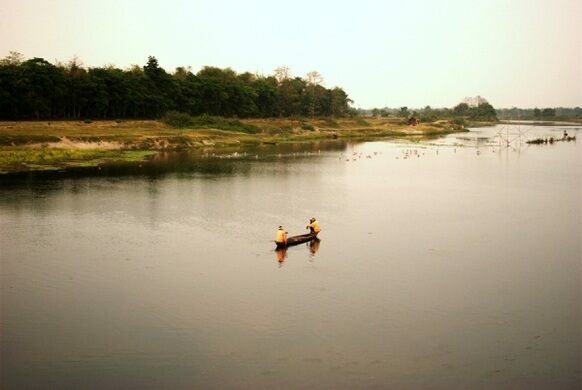 The Brahmaputra River of Assam is a mighty river. At times, the width from one bank to another is more than fifteen miles, and in the vast flowing stream, there are scattered more than one thousand islands. The island of Majuli, which once was more than 1500sq.km big, has been reduced to a mere 500sq.km because of the massive erosion created by the moving waters of the Brahmaputra. In the medieval ages, a great Hindu saint made the island his home and brought upon a renaissance. The island became a cultural hub where art, music, dance, drama, religion and astrology were all thriving. Interestingly, there was nothing extravagant about the culture - no huge temples, or gold or silver, rather it is simplicity that makes Majuli so special. 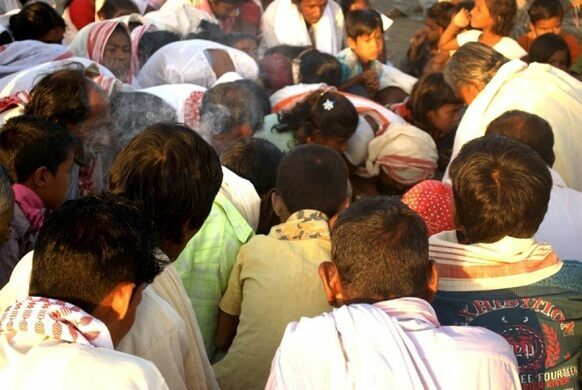 This culture never died and even today, the island has a spiritual aura, an enlightening experience for outsiders. There are many things to do in the island such as visiting the many monasteries and spending time with the monks - watching them perform their perfection in arts, or go birding or take a bicycle around the island to explore. An Indian forest is being single-handedly planted after its creator was inspired by a slither of dead snakes. Small village in India claims the lives of birds each September.